Bronze handrail in luxury London property. 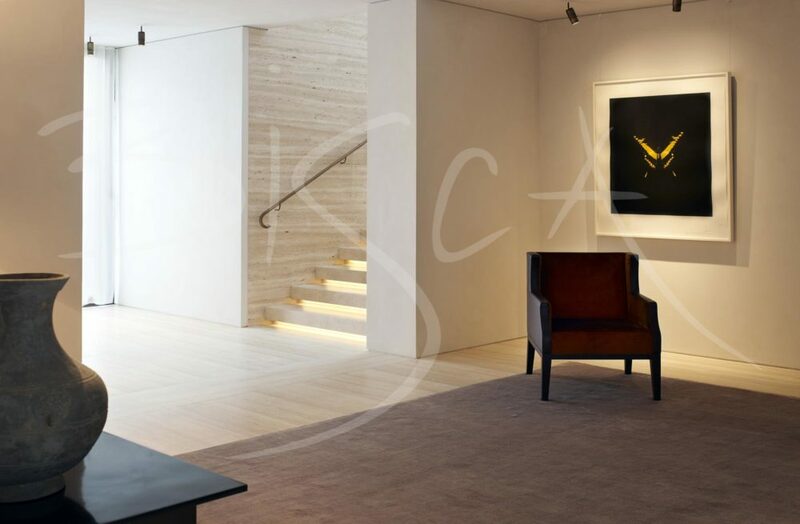 Bisca were commissioned by a major property developer to design, manufacture and install a bronze handrail on a marble staircase in London. 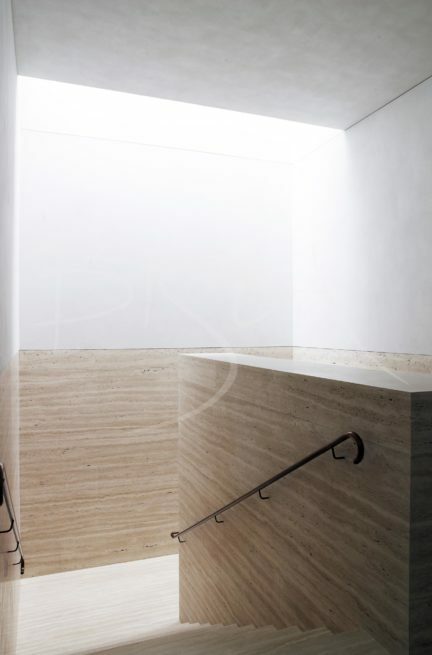 The burnished handrail has hockey stick ends and attaches directly to huge slabs of marble. The handrail design is repeated on all flights throughout the property. 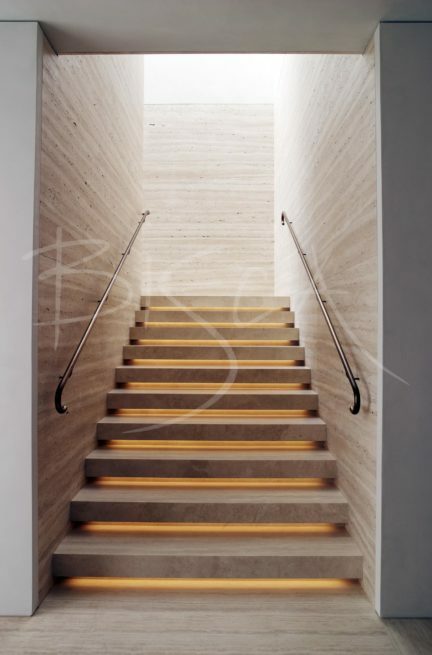 The staircase itself has open treads of marble, which are subtlety illuminated from below to give a warm glow to the stair area. To obtain a guide price for a bronzed handrail, please quote reference 3329. For the best result your bronze balustrade will be designed as part of your new Bisca staircase. Your balustrade will be made in our workshop by our own Blacksmith using a mixture of traditional and modern techniques. Choose from a range of textures and finishes including forged, antiqued, aged, sputter, burnished, cast or patinas. 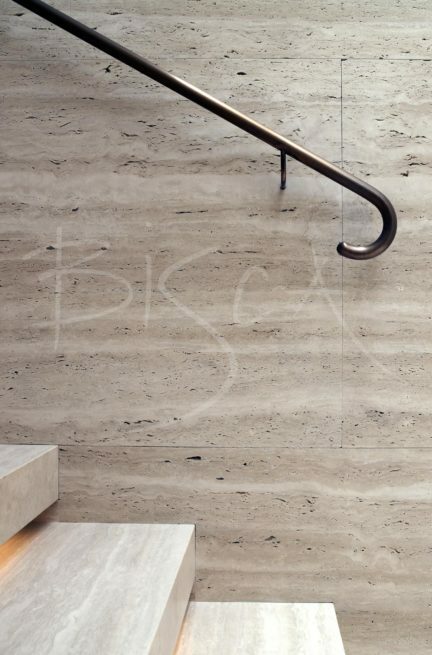 If you already have a staircase in your property, Bisca will design, create and retrofit a bronze handrail or balustrade to your existing stair.